Steve Louks, Jan Louks Debbie Hemmingway, Garry Gordinier, Kelly Arndt, Jessica Kruger, Pat Kruger, Ben Schlaak, Erin Schlaak, Trudy Nelson, Mike Herrmann, Jon Homuth, Curt Boswell, Jody Larson, Jon Bartsch. 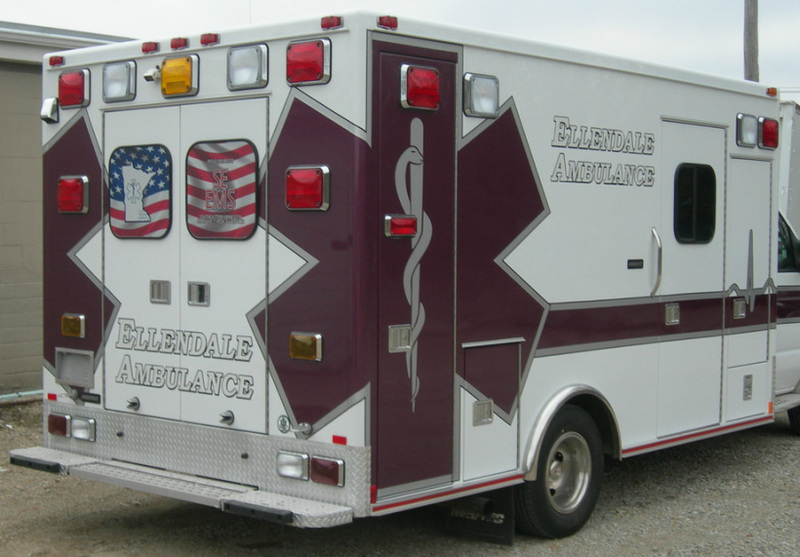 Ellendale Ambulance Service is a BLS service that covers the Cities of Ellendale and Geneva and the Townships of Berlin Summit and a portion of Lemond in Steele County and portions of Bath and Geneva Townships in Freeborn County. In 2003 the service developed a Joint Powers Board ownership agreement with the seven entities receiving coverage services. Ellendale has two ambulances. One is based in Ellendale while the other is in Geneva. We also have a Portable Emergency Shelter in our fleet (retired ambulance) that is used to protect and transport the uninjured victims, belongings or animals that may be involved in an incident.